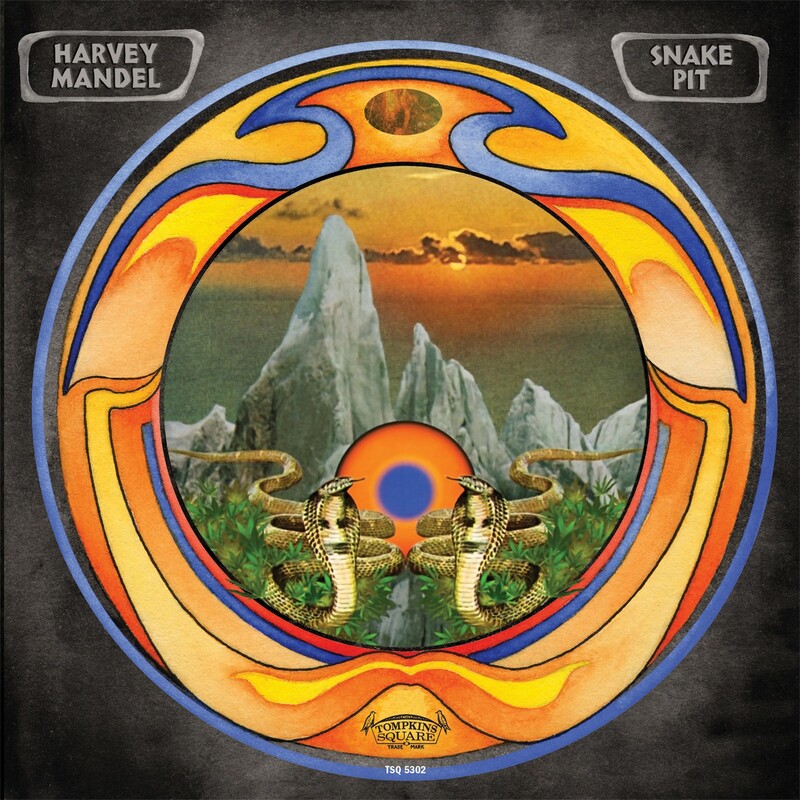 Snake Pit is Harvey Mandel's first widely distributed record in two decades. When young guitar hotshot Harvey Mandel was hanging out in Canned Heat's dressing room at San Francisco's Fillmore West in summer 1969, he had no clue he'd stumbled into an appointment with destiny. Guitarist Henry Vestine had quit the band that night, leaving them in the lurch with a show to play—Windy City shredder Mike Bloomfield filled in for the first Heat set, and fellow Chicagoan Mandel stepped in for the second. Both were offered the job, but Mandel took it—and three gigs later he was playing at a little festival called Woodstock. You can read about Mandel's life in my Secret History of Chicago Music strip at the bottom of this post—for now it'll do to say that his career has been an impressive one. Born in Detroit and raised in Morton Grove, he became known as "the Snake" because of the cracked old leather jacket he wore (and his sinuous, sustain-heavy guitar tone). He's played with not just with Canned Heat (which he rejoined in 2010) and John Mayall but also done session work for the likes of the Rolling Stones and Love—to say nothing of his many effortlessly funky, jazzy, fuzzed-out solo albums. He hasn't been much heard from lately, but Mandel delivers a surprise this week: despite serious health problems, he's releasing his 15th studio album, a tastily fried LP of groove-rock called Snake Pit (Tompkins Square).